Rubber wheels with high clearance for low noise for comfortable ride in both indoor and outdoor applications. 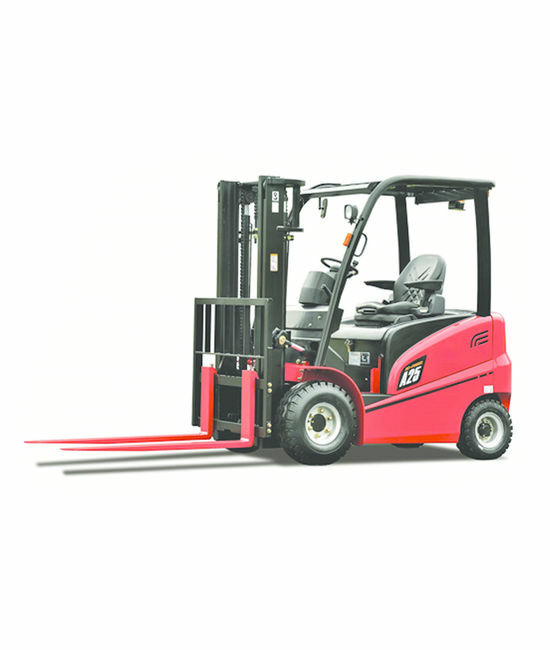 Rear wheel driven design for stability & small turning radius. 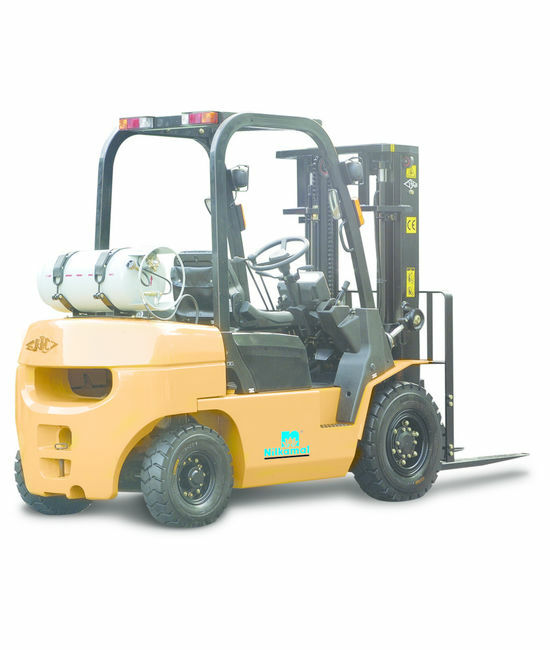 Rated capacity of 1500kg at 3000mm. height. Two lifting cylinder on both side of mast to ensure good visibility. Sideway battery removal for easy battery changing. AC brush-less drive motor for low maintenance. 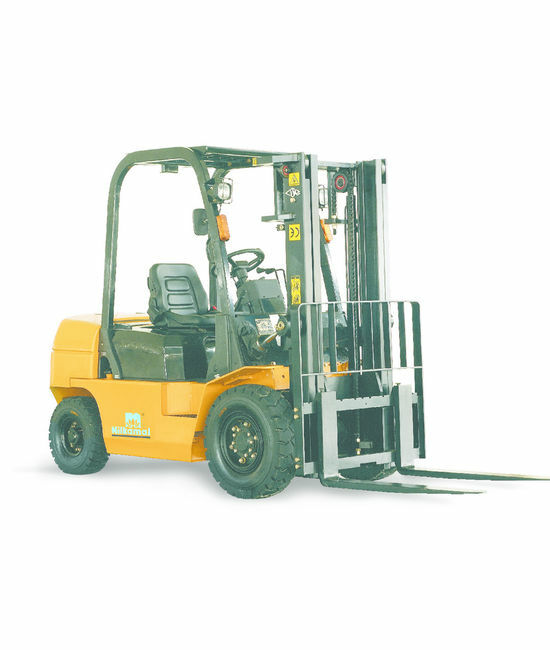 Hydraulic power steering for smooth turning. High gradeability up to 10% (laden). Electromagnetic brake with parking brake feature. 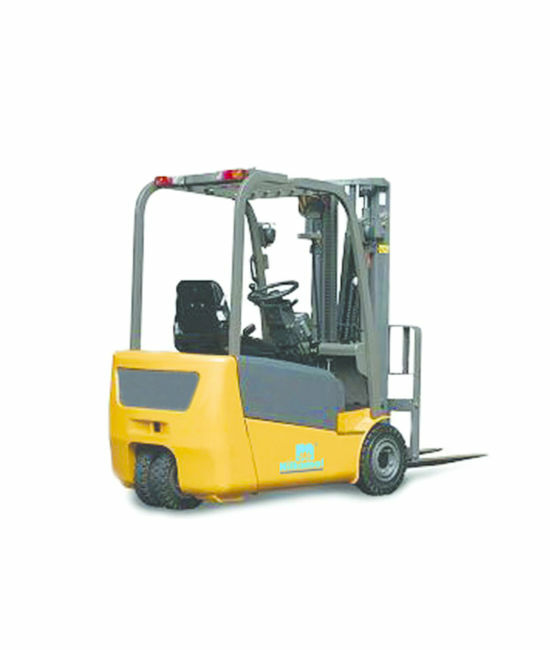 This Counter Balance Mini Forklift appears especially important when in or out of the container, and carrying goods in congested area and narrow aisle. Standing type design with wide view clear visibility. 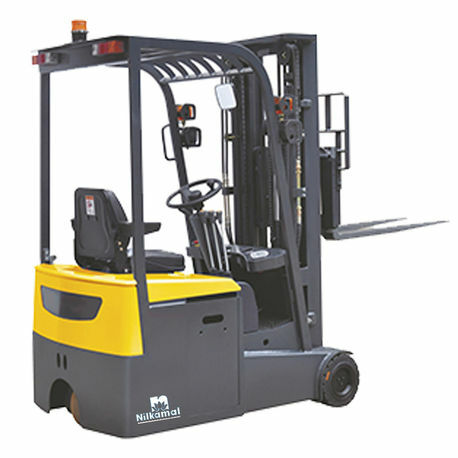 This Counter Balance Mini Forklift appears especially important when in or out of the container, and carrying goods in congested area and narrow aisle. Standing type design with wide view clear visibility. ERGONOMICS• With adjustable armrest, comfortable and stable. Suit for different height driver using.• Large compartment for standing, with foot relax plate, can effectively relax foot while static operation.• The standing platform has a good shock absorption, conform to ergonomic design to make the operation more comfortable.• The adjustable armrest and seat provides padded support to ensure the hand comfortable and stable, and meet different requirements for the operators. SERVICE ABILITY• Easy reach to electrical system while open the front cover, easy for maintenance.• Driving motor and lifting motor are all with AC system, brushless easy to maintair external encoder is easy to replace.• Sideway moving battery with lock system it is convenience for maintenance.• The multi-function display with error code can easy to check troubles of truck.